The alteration with tank adapter only produce straight down flush, I add this surplus screw on elbow to create horizontal flush. BTW, the water dripping (small flow) is from the weep hole in the stand pipe, this is an indication of flush working and pump is OK.
A quick look will tell. No drip means weep hole block or pump stop. More water then this shows that flush do not stop or flush do not start. 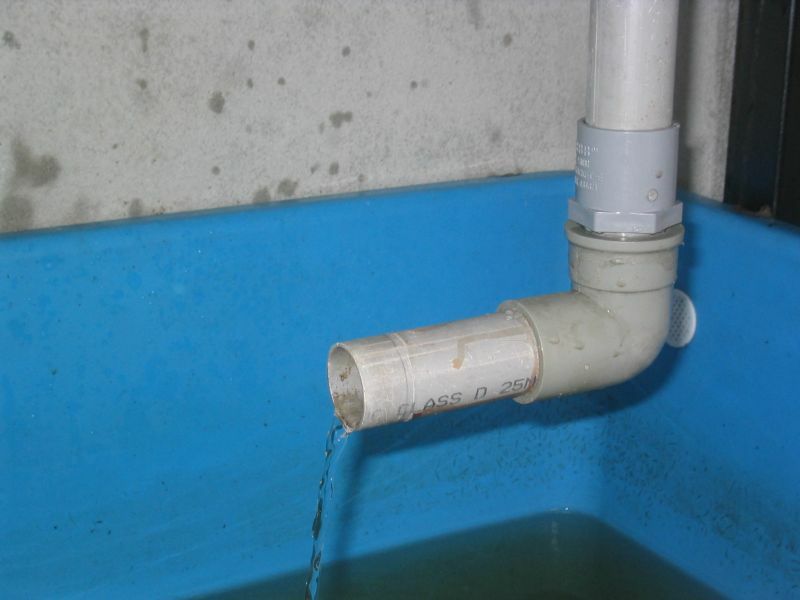 Horizontal flush outlet will be much better to circulate tank water. 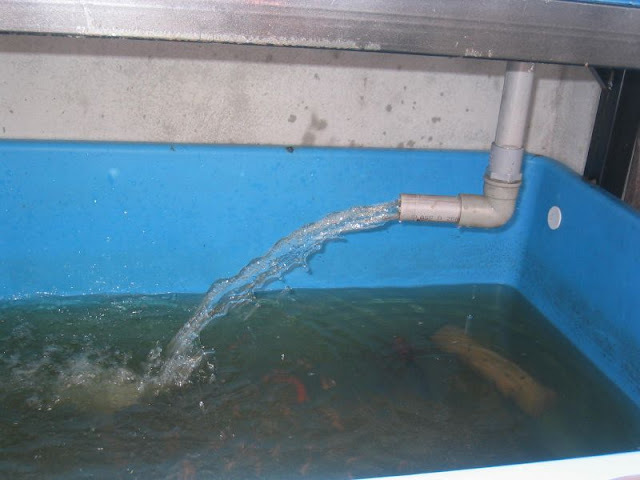 This flow pattern will cause food debris or fish waste to concentrate at one area due to water swirl. Thus easier to scoop out. 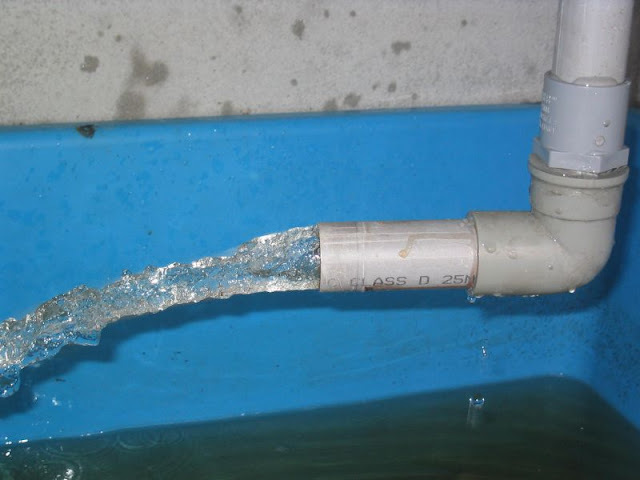 Horizontal outlet is angled so that it will create water swirl, mix and oxygenate the tank better.